Imagine what enjoyable work opportunities could be unlocked if you looked forward to interviewing instead of the process stressing you out. I'm Shea Ki. My coaching helps you upgrade your interview skills so you will shine in the to seat and enjoy a brighter future at work. Attracting work that lights you up begins with being able to share your professional value in a way that feels authentic and easy. You are in the right place if you want to find out more about your value and how to share it so employers or potential clients take notice. You might be #nervousbutexcited to take action on making a change or trying something new. ​Give yourself credit for being brave and resourceful. It takes guts and smarts to seek support for your goals and get feedback about your strengths and areas for growth. The payoff will feel so good when you see your hard work and practice from our coaching sessions get you closer to where you want to be with your career. It takes more than the universe on your side or being good at "winging it" to have a successful interview. Competition for customers, hot internships, good paying jobs, and getting promoted is high. Employers and audiences expect more than ever when looking to hire or promote. My coaching will help you strengthen your interview skills, reduce your stress, and boost your confidence so you gain more career momentum. You can read more about my experience, credentials, holistic approach, and passion for this work here. 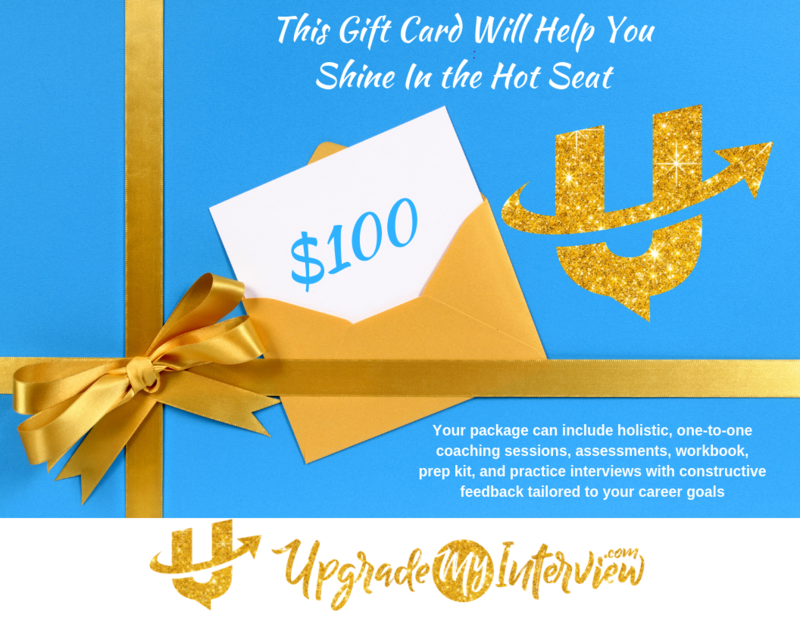 Each Upgrade My Interview™ coaching package includes several 50 minute coaching sessions, resources, and other bonuses for you along our journey of working together. Receiving experienced, professional career coaching before you interview will help you get to your brighter future faster. 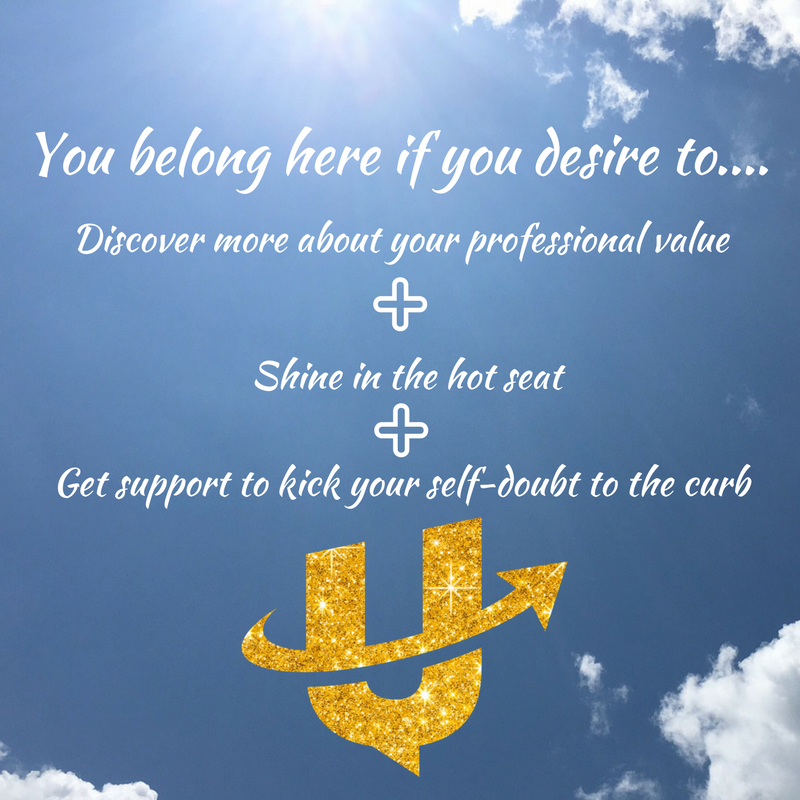 You'll learn how to kick self-doubt to the curb and share your value confidently. ​Won't it feel amazing to know how to tap into and represent your best self, even when under big pressure? ​You have invested time and money to up-level your concert tickets, living space, hairstyle, or wardrobe before. I believe your future at work deserves just as much of an upgrade. Don't you? Let's first connect in person online and discuss how I can help you. Step 1: Schedule a complimentary, no-obligation 30 minute consult with me. You can do that right here. Step 2: Watch your email for questions from me. 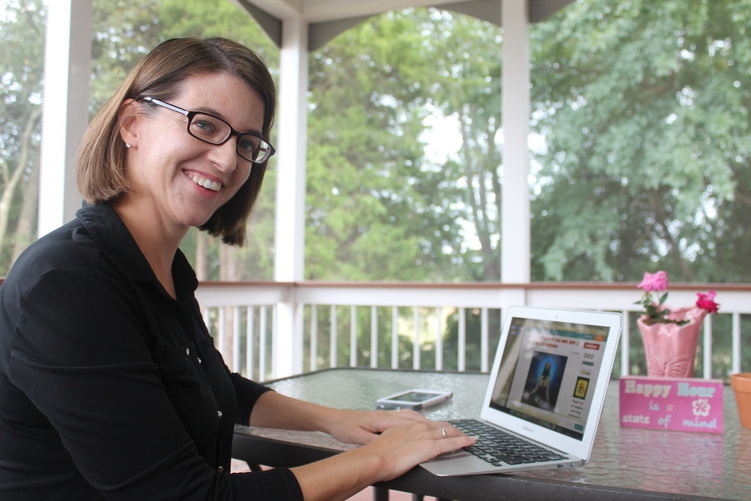 Before we hop online to meet, I’d like to know a bit about you and what you’d like to get out of coaching with me. Step 3: Hit “reply” to that email and answer the questions. Step 4. At the scheduled time of your consult, we’ll consult! We’ll use the opportunity to make sure we’re a wonderful fit before you commit. Step 5. Then we’ll get started! If you decide to work with me, I’ll tell you the exact steps for getting started. If you decide not to work with me or if we aren’t a wonderful fit, I’m happy to share other resources to help you get what you need. So, you already had a free 30 minute consult with me and we both feel great about working together? Then it is time to pay for the coaching package we discussed. Step 1. After our initial online meeting, you should have received an email from me with the PayPal "Buy Now" button included. Step 2. After I have received notice of your payment by PayPal, you’ll receive your welcome packet and client agreement from me within 1 business day. Step 3. Once your agreement has been signed, you’ll be given access to your client prep work. Step 4. When your prep work is complete, you’ll be given a link to schedule a full session with me. Then we will have our next session together. Are you looking for gift card options? An Upgrade My Interview™ gift e-card is a unique, caring way to show a friend, student, or family member that you support their future success. Step 1: You can purchase a gift e-card by using the "Buy Now" Button above. Step 2: ​You will get instant notification that includes a copy of the receipt. You will also receive an email from me. It will ask you to reply to me with the name and email of the lucky person that you bought the gift card for. Then what happens? Once I have the name and email of the gift card recipient, I will then send a fun, personalized email message about the gift card to who you want to receive it. I will be sure to copy you on the email. The message will include the amount of gift card and instructions on how to set up the times and dates for their online interview coaching sessions. Gift e-cards last up to six months from purchase date and are sold using the PayPal system.